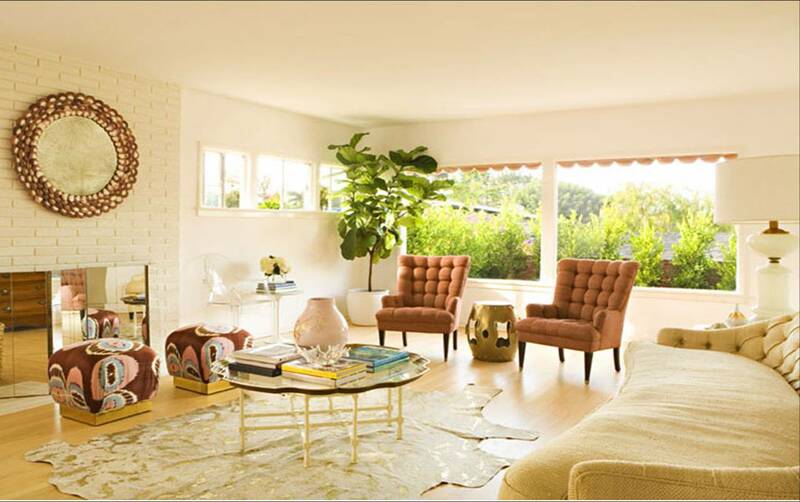 COLOR WATCH: TOUCHES OF GOLD IN A PACIFIC PALISADES BEACH HOUSE! 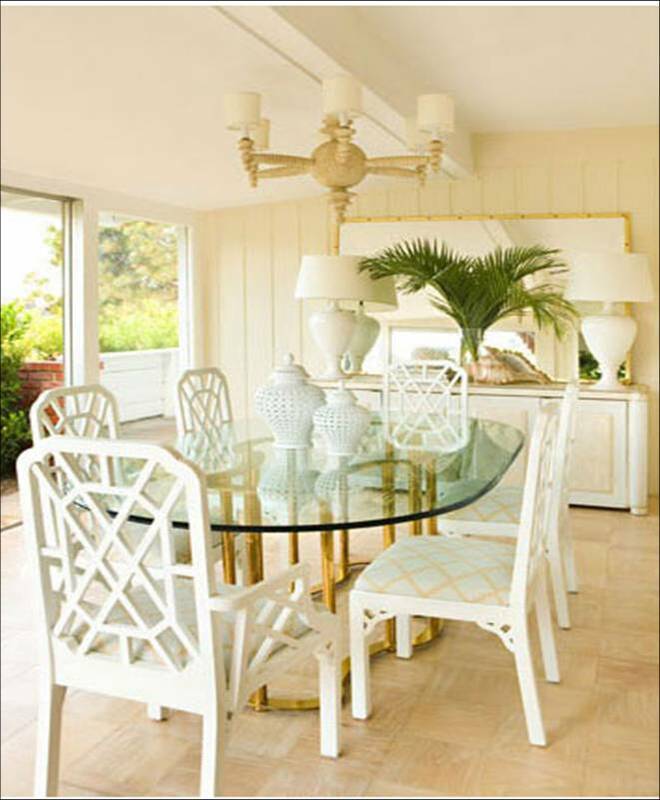 I like the work of Los Angeles based Kristen Hutchins whose eponymous interior design firm decorated this beach house in the Pacific Palisades. A casual beach theme pumped up with a pop of gold here and a punch of shiny brass there. Gone are the expected beachy blues and whites…instead this beach home surprise with a Hollywood Regency type glamour of its own. When the rest of the design world is going for silver accents, I like the fact that this designer carved her own path, blazing a golden trail, with this house – using just a touch of gold. Readers, what do you think of adding brass or touches of gold to decor? Thank you Kristen for allowing me to use photos from your site! P.S. Remember to become a fan of the COCOCOZY FACEBOOK page for more design amd decor and some amusing extras! I think it can work in certain circumstances to have gold/brass touches, but I’m still not completely sold on it for myself. For example, that dining room table with the glass top and brass base….not loving it. It screams outdated to me. They have made it work by putting it in a beautiful space, but it’s just not my thing. 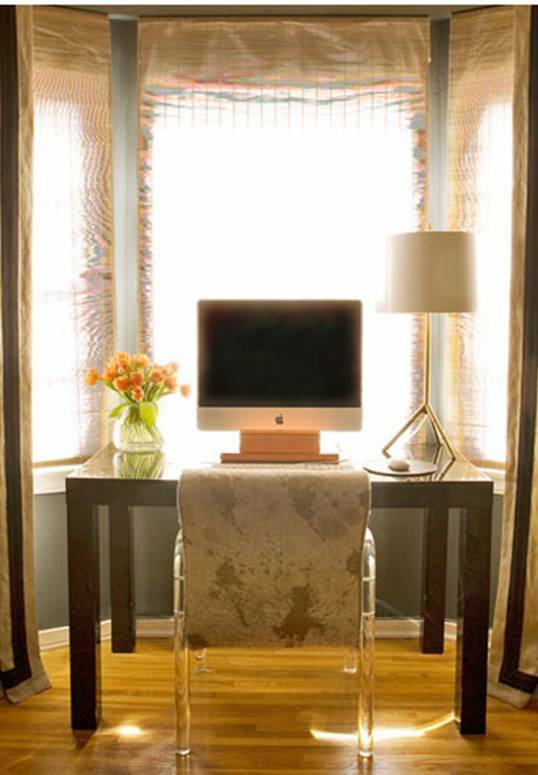 However, I do like the lamp on the desk….that is gold and stylishly updated. I <3 those ikat stools!! Trying to embrace the return of what we used to call “happy brass”. It was so overdone in the tract homes here in No Ca in the 80s. But this lovely space is helping me come around ! Love the little scallops of the awning peeking in the LR window ! 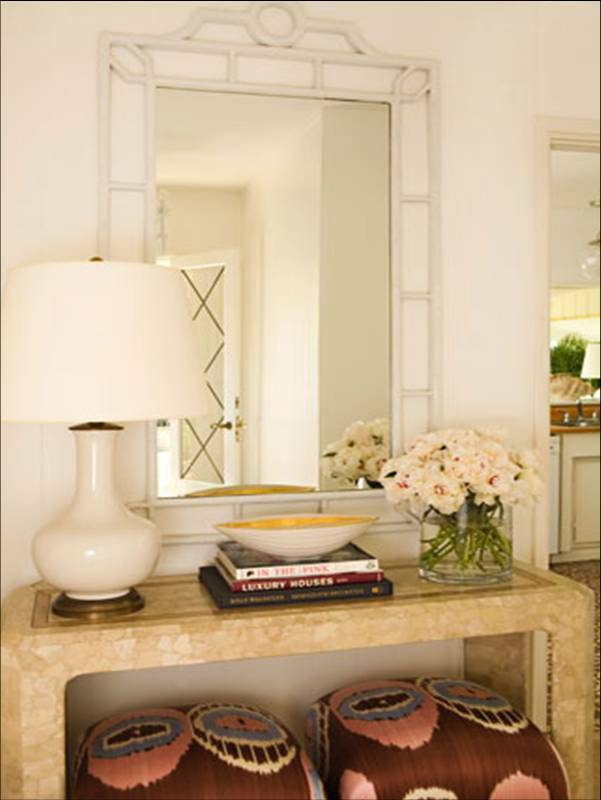 I love the mixing of the gold, glass and lacquered white furniture! Great combo for a warm rich mood! I love the warm color of those neutral walls. 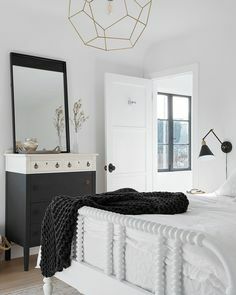 Any ideas on what specific paint colors would achieve that look? Pretty… but I’m not so sure I wouldn’t tire of the gold and brass. Lovely to look at though. Oh how beautiful! Love gold. Metallics are just such a wonderful addition to any room! i do love those ikat stools. so colorful + stylish. the desk space is to die for. i love the lighting in the pic. What I love about the rooms are they are so glamorous yet they look comfortable too. As Ashlina my faves were the bamboo lighting and the ikat stools. Thanks for bringing something different for my eyeballs this morning, I enjoy! You might enjoy the giveaway I am running right now, by the by, I thought of you when posting it! Not bad. Actually I think to much of it could look quite cheesy. But here it works out quite fine. I just took out the cheesy gold taps in my eighties bathrooms and will not be going back to gold anytime soon. Have been obsessed with the ikat fabric on the stools in the entry and in the living room for AGES. Does anyone know where the fabric is from?? Grazie!